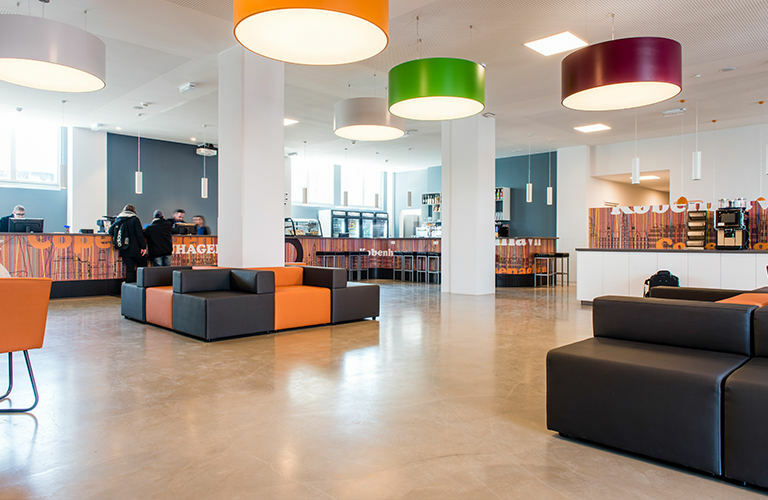 The first a&o in Denmark presents itself in a design concept called "a&o: next generation". 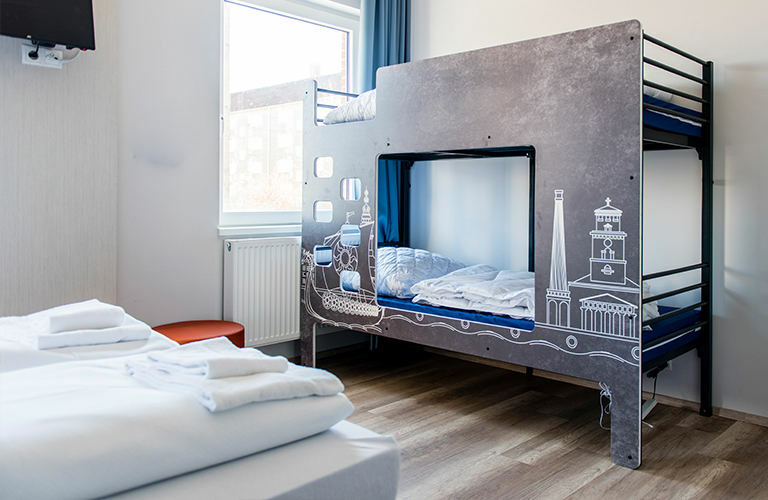 Get your desired room in these hotel categories: single, double and family rooms. 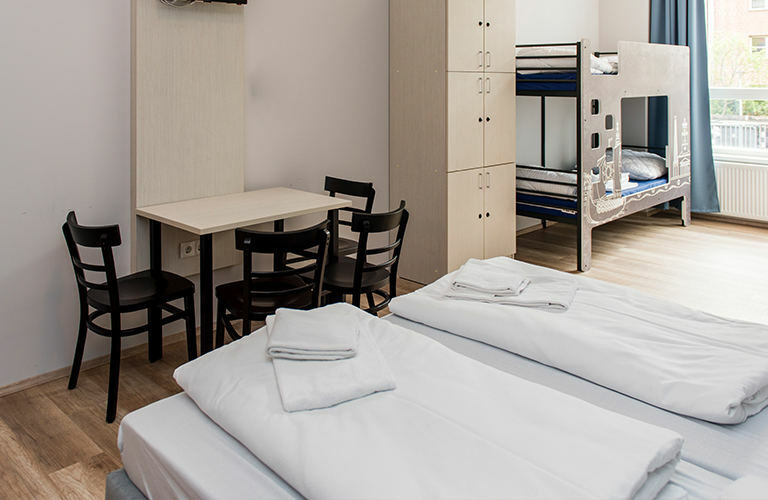 Or book a bed with a lockable cupboard in our hostel category! 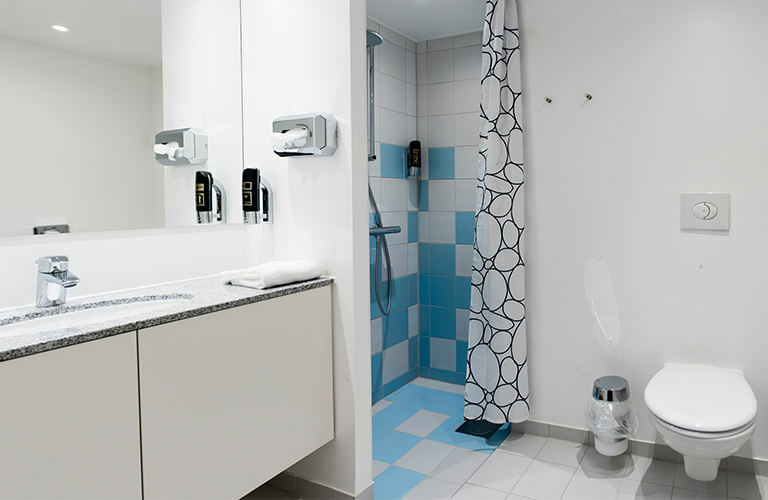 All rooms are equipped with shower / WC, hair dryer, 2in1 shower gel and face tissues. 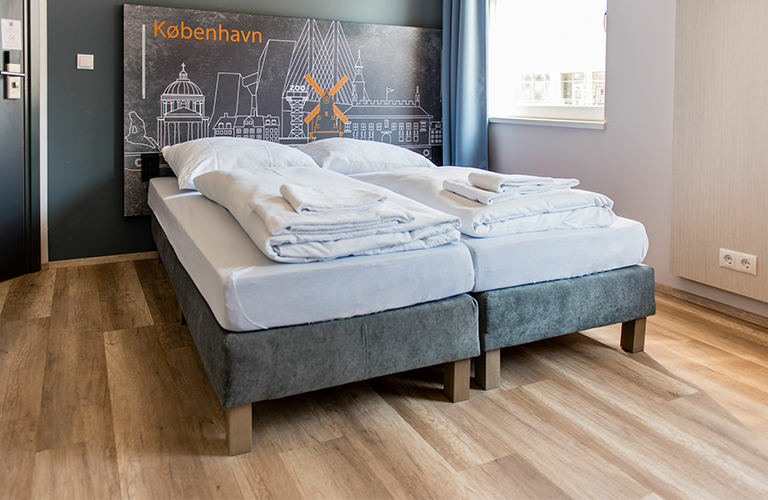 The comfortable hotel standard comes with fresh linen, towels and a private bathroom. 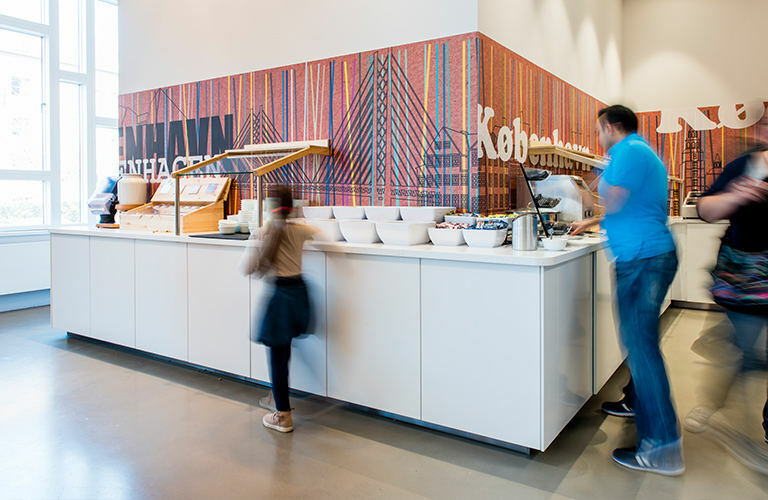 Additional components such as breakfast, late check-out or packed lunch can be booked individually according to your preference. Free high-speed Wi-Fi in streaming quality is a matter of course to us. 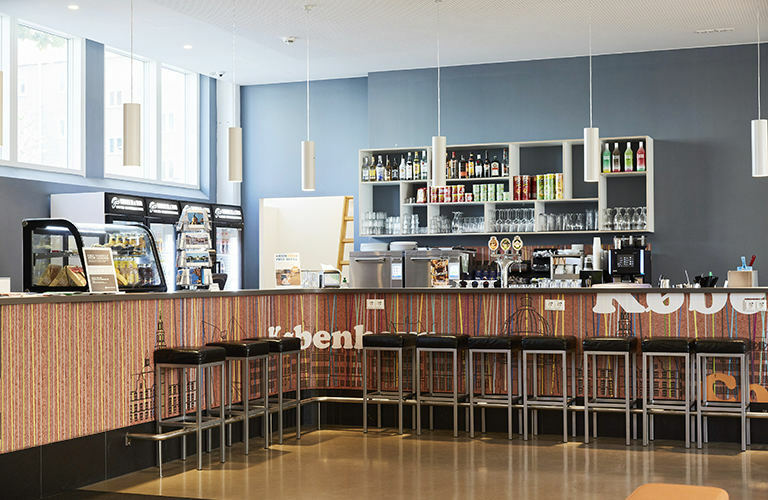 Located in the vibrant student district of Nørrebro, you can easily and quickly reach the city by taking the public transport. Only 2 km from the city center is our a&o. 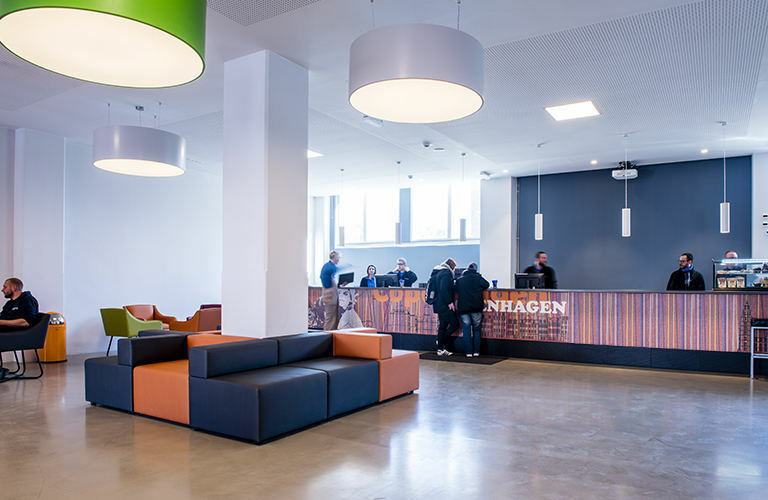 The a&o Copenhagen has 270 rooms with 670 beds, an XXL lobby and 24/7 front desk service. If you feel like staying in, you can browse through our small library for travel tips and novels and make yourself at home in our reading corner. 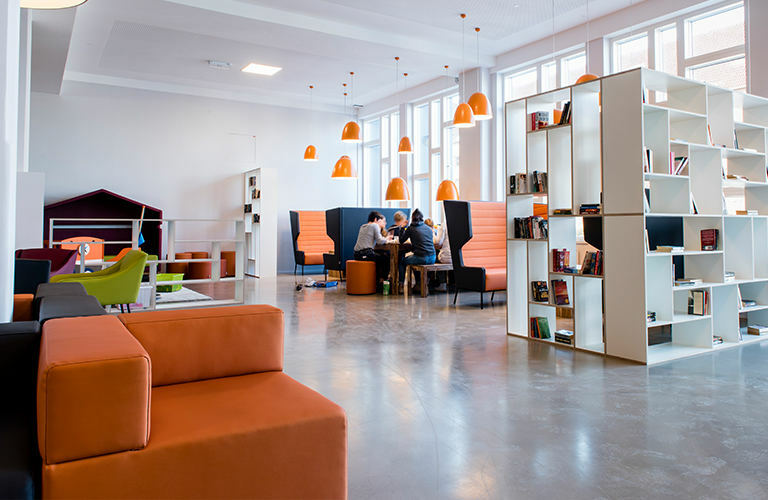 Students will find some rest for their research and paper work in our very own and unique “students only” area. 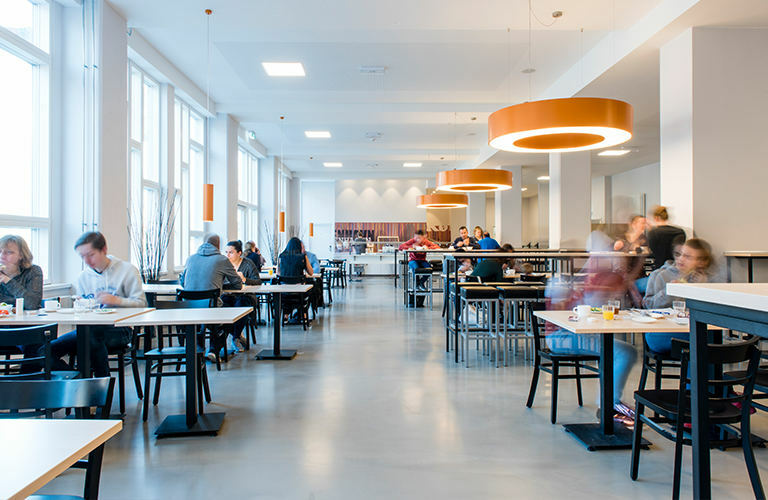 Friendly staff, quiet room and good breakfast. Very nice stay ! The rooms were very clean. Walk northwest towards Mjølnerparken. After 50 meters you will reach our a&o. Walk 180 meters to Hovedbanegarden (Vesterbrogade) Bus Station. Take the bus 6A direction Buddinge St. After 14 stations you will reach the station Rovsingsgade, from which it is only 50 meters walk to the a&o Copenhagen. 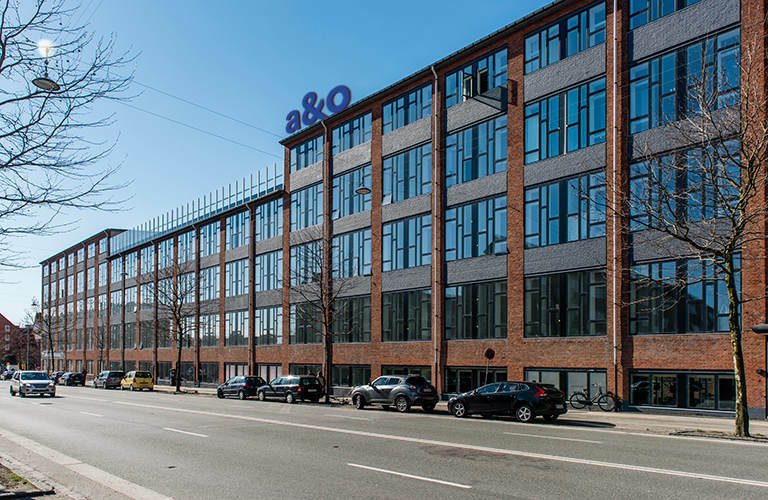 It takes about 40 minutes by public transport to the a&o Copenhagen. To get there, take the M2 towards Vanløse. After 9 stops you'll reach the station Nørreport St. Here you change to the bus direction Buddinge St. After 9 stops you reach the station Rovsingsgade (Tagensvej). From here it is only 50 meters to the hostel. Just walk northwest towards Mjølnerparken. a&o guarantees the best price for you! You probably know that hotel services and comparison portals always show different prices. cheapest price model is automatically displayed. If you should, however, find a room online cheaper than ours, we will take a detailed look at it. It’s best to get in touch through our contact form.